Built to the highest standard, these exceptional chalets, set in apartments, have a really cosy feel with a fireplace, TV, CD and video player. Each bedroom also has its own whirlpool bath, ideal for relaxation after skiing, and the centre of Belle Plagne is close by. 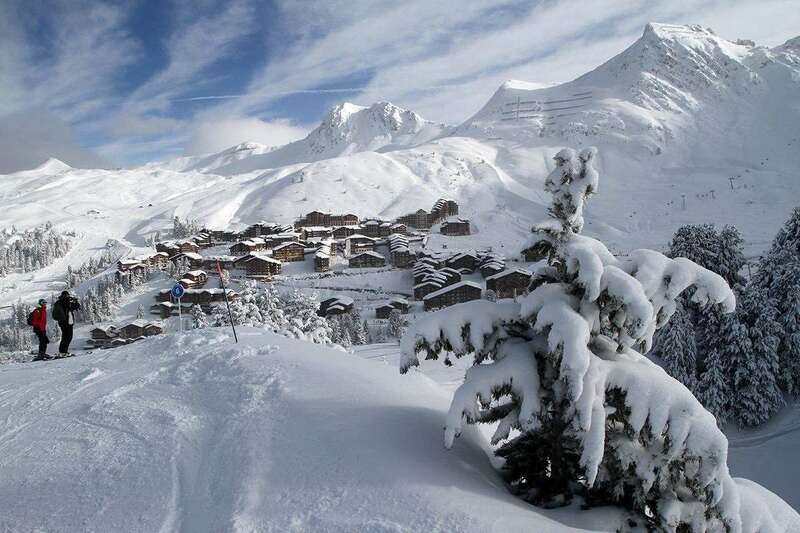 These cosy chalet apartments offer a high standard of accommodation, not far from Belle Plagne resort centre, with great facilities including private whirlpool baths. Chalet complex has a Bar and Ski room, Hairdryers available. Chalet complex has a Sauna*, Small Fitness room, Jacuzzi™* and Solarium*. Spacious open plan lounge with wood burning stove, balcony, TV, VCR, stereo, DVD player and a selection of board games. Set over one floor, featuring a lounge with balcony. One twin room with sloping roof, skylight window, whirlpool bath and WC (1). One twin room with sloping roof, whirlpool bath, WC and balcony (2). Small twin room with sloping roof, whirlpool bath, WC and balcony (3). Three twin rooms with whirlpool bath, WC and balcony (4, 5&6). Our party of 6 went to Belle Plagne in March 2011. We stayed in Chalet Balcon 1, a no-frills chalet apartment in a large purpose built block. Though fairly basic, the food was good and the situation perfect - with fantastic views from the balcony and direct access to the pistes from the boot room in the basement. The range of skiing on offer is impressive, from the heights of the snow-sure glacier down to many pretty and quiet runs through the trees. We particularly enjoyed the "Pistes serenes" - runs especially nominated to be skied in stylish serenity. It's worth paying the extra for at least a day in Les Arcs, reached via a huge, double decker cable car.. The whole area is a paradise for intermediates, but maybe doesn't have the challenging skiing to satisfy experts. There are plenty of mountain restaurants to stop at during the day. As with all purpose-built resorts, La Plagne lacks Alpine charm, and the apres-ski scene is limited, but if you're after a a good-value skiing holiday it's definitely worth a visit.